Coutts, the UK private bank best known to many as “the Queen’s bankers”, said it has launched a new, multi-currency debit card, as it looks to better cater for its many cross-border-living clients. It is launching the card – which Coutts says it believes is the first such-multi-currency card of its type, at least in the UK market – in partnership with Visa, the US-based credit card and debit card giant. Less than two weeks after going live, the multi-currency card programme already has seen more than 1,000 Coutts clients adopt it thus far, Coutts said. The card will enable those of its clients who maintain accounts with the bank in more than one currency to conduct all their transactions from a single card, thus eliminating foreign-exchange charges, and the need to carry a handful of cards, Coutts says. Existing clients won’t need to be issued a new card, but will be able to have the new feature added to their existing debit card, either online or in a Coutts branch. Customers may continue to bank with Coutts for free, but they must have £250,000 or more in savings, investments or a mortgage with the bank in order to do so. 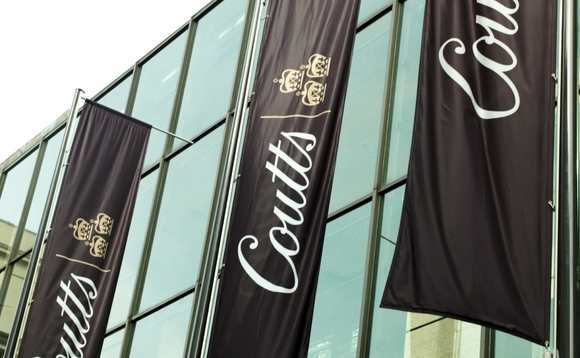 As reported, in October it was revealed that the current senior management team of Coutts & Co Trustees (Jersey), including chief executive Martin Hall, had entered into a binding sale and purchase agreement to complete a management buyout of the business from Coutts & Co.
Last year Coutts announced the sale of its Swiss operation, in line, it said, with its intention of focusing “on the key markets of importance to [its] clients”. Also last year, RBS revealed it had reached an agreement to sell its internationally-managed private banking and wealth management business to Switzerland’s Union Bancaire Privée, saying it would “continue to service UK private banking and wealth management client needs, together with those of international clients with a strong connection to the UK, from the British Isles, through its Coutts and Adam & Company brands”. Of the change in the banking tariff, the spokesperson added that it came after “a six-year period of no change” and brought Coutts more into line with the rest of the market.